Energy and petrochemicals giant Ineos has thrown its weight behind UK Prime Minister Theresa May’s Brexit deal. 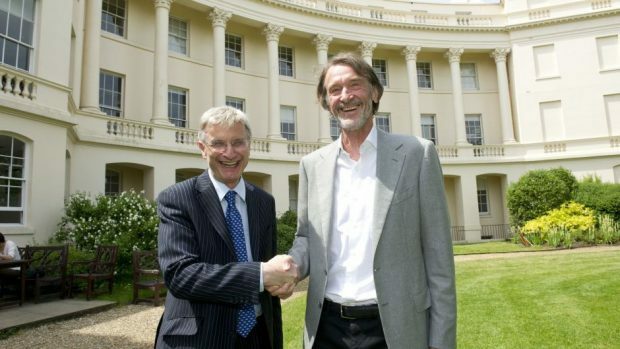 Founder and chairman Sir Jim Ratcliffe said a “no deal” Brexit would present a significant risks to the business. Mr Ratcliffe, Britain’s richest man, said any agreement that moved the UK closer to an open European market had his backing. Ineos, which owns the huge refinery in Grangemouth and has stakes in several North Sea fields, congratulated Theresa May on a “sensible deal negotiated in very difficult circumstances”. The company said combining frictionless trade with the freedom to develop long-term global trading relationships would advance the UK economy. Mr Ratcliffe said: “I have made no secret of the fact that while I have long supported the concept of a Common Market within Europe, I have never felt comfortable with the concept of ever closer union. “A Brexit deal that moves us closer to an open European market has my full support. Commenting on the prospect of a “no deal” Brexit, Ineos said the imposition of World Trade Organisation level tariffs would be damaging, as would non-tariff barriers to trade, with potential delays at ports disrupting complex supply chains. “We would hope that our parliamentarians would now put the good of the country ahead of political considerations and ensure a safe passage for the deal through parliament,” an Ineos spokesman added.